This is a guest post from Julie Marie Niederhauser, a member of Cohort 1 of the Design for Learning program, who participated in our presentation at this year’s annual ALA conference and attended as one of our scholarship recipients. 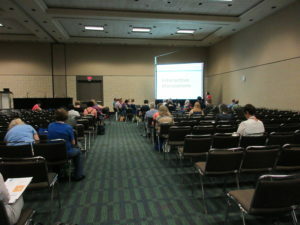 The American Library Association Conference in Orlando, Florida had a terrific slate of sessions focusing on improving library instruction, fostering staff development and encouraging professional development. As the public library coordinator for Alaska, responsible for developing and presenting continuing education workshops for public librarians around the State, I knew these sessions on instructional design and library instruction would introduce me to new instructional techniques and methodologies while reinforcing knowledge I have learned as a D4L Cohort 1 participant. While I was eager to attend the ALA Conference in Orlando, the associated costs were beyond my financial means. Just when I was about to give up any hope of attending the conference, I received an email mentioning the D4L scholarship opportunity. I was thrilled when I received notification that I was a D4L Scholarship recipient. The ALA Conference initially overwhelmed me. Held in the Orange County Convention center, which ranks as the 2nd largest convention center in the United States, the conference was immense and it wasn’t unusual to see conference participants using a Segway to get around. The ALA conference program and exhibit directory had over 325 pages; it was the size of a Sears and Roebucks Christmas Wish Book. I watched some conference goers rip out the program pages they needed rather than lug the entire program through the convention center. ALA reinforced my passion for librarianship and the good that we do. The first session I attended was Exploring Learning Through Making. During this session Trent Miller and Jesse Vieau and members from the Madison Public Library gave a brief presentation on the Bubbler and their artist-in-residence program. I found the Madison Public Library’s commitment to serving teens where they are, whether in a homeless shelter, a detention center or the library, inspiring. Jesse Vieau shared a story about a teen sewing program which meets in a juvenile detention center. The Madison Public Library had an artist-in-residence who wanted to teach teens some basic sewing skills. She thought it would be useful if the teens could re-sew buttons, hem pants or fix clothing tears. When one of the teens in the program finished before everyone else, she suggested he use some of the extra fabric she brought to sew a pillow. Suddenly the rest of the teens in the program stopped what they were doing. They wanted to sew a pillow as well. The sewing program has become one of the Madison Public Library’s most successful programs. Teens in the detention center want to sew a pillow so they have something to hug and they also want to create pillows so they have something they can give to others. 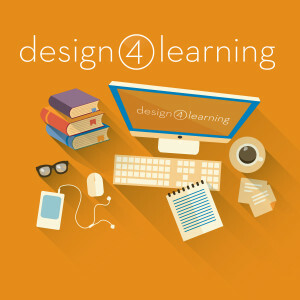 Participating in the D4L ALA Conversation Starter: Teaching Online About How to Teach Online: The Design for Learning Program was exciting and nerve wracking. After conversing online for over a year, it was wonderful to finally meet D4L instructors Arden Kirkland and Mary-Carol Lindbloom and my amazing fellow student Kathy Smith in-person. Standing up in an auditorium full of library land’s best and brightest and sharing how D4L has provided me with the knowledge, skills and courage to offer library instruction online to Alaska librarians was challenging. Fortunately, the audience was supportive, interested and kind. Members of the audience asked thoughtful questions and were keen to learn more about the D4L project. Sitting beside the other members of the D4L panel, I knew we were helping to transform libraries and online library instruction in the United States. Tagged ALA, cohort 1, conferences, presentation, scholarships.